Walter Gomez has been an integral part of the District’s Department of Instructional Technology since 2013. Through this period of rapidly changing technology, he has proven to be an invaluable resource. His original title was technology specialist I, and after taking on greater responsibilities, he was promoted to a technology specialist II in 2015. Walter works on the front lines each day to help keep the District’s technology up and running. Walter is IT Director Danny Gauna’s right hand person, and his hard work and expertise is proven every day in keeping our technology network up to date. Walter was directly involved in the launch of the 1:1 iPad initiative. He shared that it was a daunting and challenging task, but in the end, a triumphant accomplishment. His other contributions were behind the scenes tackling the momentous task of upgrading the network infrastructure. Walter appreciates the opportunities for professional growth and networking that his roles with various projects have provided him. Melissa Blanco is a model paraeducator who has worked with the District for 18 years. She is deeply committed to the students who require the greatest level of support at our schools. She works with students with severe behavioral challenges with seemingly endless patience, understanding, and love. Ms. Blanco has mastered the difficult task of creating a safe place for learning, by providing structure with a kind and gentle attitude for each child. She is a team player who is always willing to jump in and support her peers before she is even asked. Teachers, staff and parents appreciate her professionalism, communication and calm, positive presence on our campus. As a parent and Center Street School staff member, Ms. Blanco is deeply involved in the community. For the past two years she has volunteered to serve on the District LCAP advisory group and has been a valued contributor. She participates in parent education and school family nights, as well as coordinating the donations for many school and district fundraisers. She is an active and avid “baseball mom,” in support of her three sons - all of whom attended Center Street School. Ms. Blanco is a true leader of the instructional assistants at Center Street School. 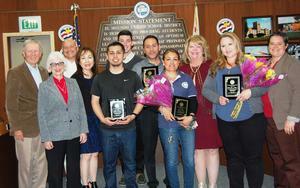 Mr. Romo has worked as a leader in the area of student safety at ESUSD for 16 years. He is currently the security lead for the entire District. Mr. Romo is a staple at El Segundo High School, and is highly regarded by students and staff. If you’ve ever set foot on the ESHS campus, you have likely come across Mr. Romo. He is seemingly omnipresent - you can find him at sporting events, student activities, and anywhere else there might be a student in need. Mr. Romo’s service is incredibly valuable, as students are responsive to his approach and direction. 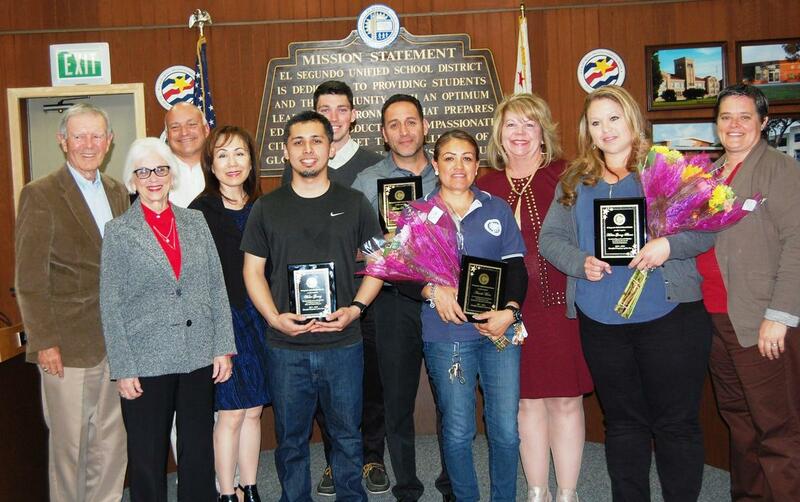 His administrators cite his positive influence on students and his high level of commitment, integrity, and work ethic as attributes they highly value in Mr. Romo. The district is proud to share that we submitted his nomination to the County of Los Angeles for further recognition, and they have selected Mr. Romo as one of only six individuals from Los Angeles nominated for higher recognition.